IRVINE, Calif. & MILPITAS, Calif.--(BUSINESS WIRE)--WD®, a Western Digital (NASDAQ: WDC) company, and SanDisk Corporation (NASDAQ: SNDK), a global leader in flash memory storage solutions, today announced that the two companies are collaborating to introduce hybrid storage devices that feature best-in-class flash memory technology from SanDisk and best-in-class hard drive technology from WD. With device volume being a key concern for PC manufacturers who want to design slimmer devices, the WD Black SSHDs are designed to accommodate integration into the market’s thinnest notebooks. The WD Black 5mm SSHD offers 500GB1 of capacity, while utilizing almost 50 percent less volume than current standard notebook hard drives (which are approximately 9.5mm). The low-profile of the solid state hybrid drive is complemented by the extremely small form factor of the SanDisk iSSD, which is built on 19 nanometer (nm) process technology, the world's smallest and most advanced semiconductor manufacturing process. The WD Black 5mm SSHDs are shipping to OEMs. WD is also currently shipping to OEMs ultra-slim, 7mm and 9.5mm SSHDs for portable devices. 1 1 gigabyte (GB) = 1 billion bytes. Total accessible capacity varies depending on operating environment. Some capacity not available for user storage. © 2013 SanDisk Corporation and Western Digital Corporation. All rights reserved. SanDisk is a trademark of SanDisk Corporation, registered in the United States and other countries. Western Digital, WD and the WD logo are registered trademarks of Western Digital Technologies, Inc. in the U.S. and other countries. WD Black is a trademark of Western Digital Technologies, Inc. in the U.S. and other countries. Other brand names mentioned herein are for identification purposes only and may be the trademarks of their respective holder(s). 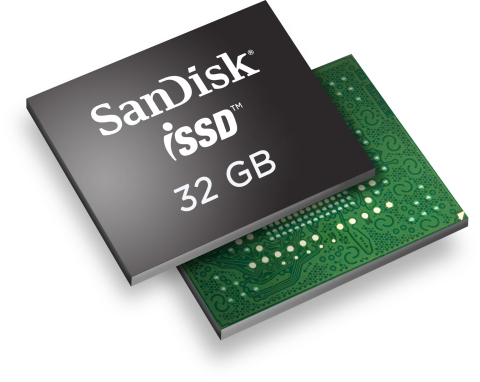 SanDisk and WD announced that the two companies are collaborating to introduce hybrid storage devices. The WD Black SSHD includes a SanDisk iSSD(tm), providing enhanced speed and performance.